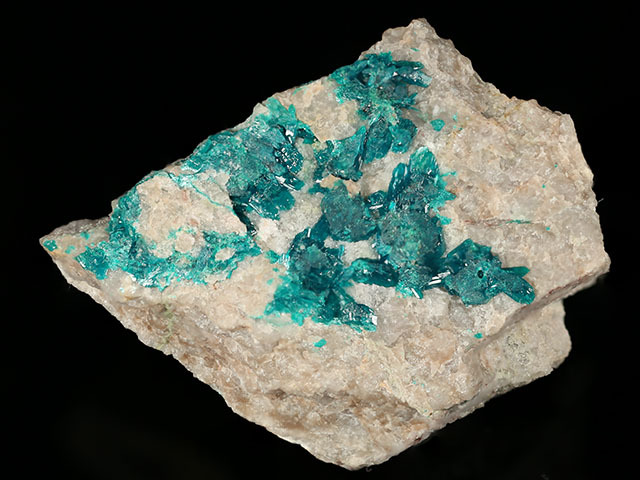 Salesite is a copper iodate mineral, in fact the first iodate mineral ever found (Palache & Jarrell, 1939). The mineral name honors Reno H. Sales (1876-1969), Chief Geologist at the Anaconda Company, who used drilling exploration to realize the significance of the Chuquicamata deposit. 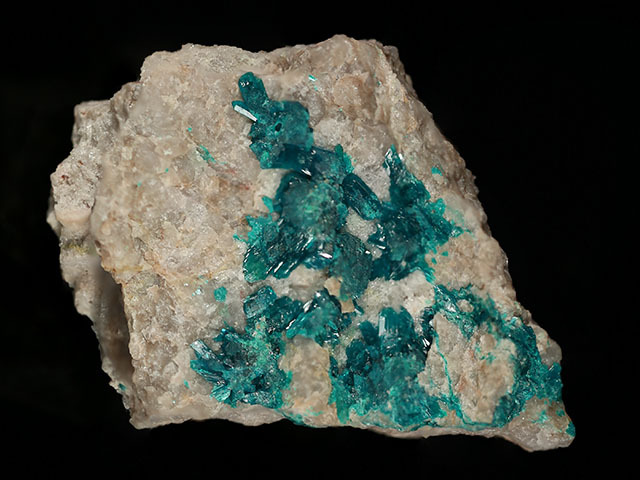 Salesite forms complex orthorhombic crystals, here to 4 mm, with a bluish green color. This specimen likely formed in a narrow crack, and the crystals show partial contacting. 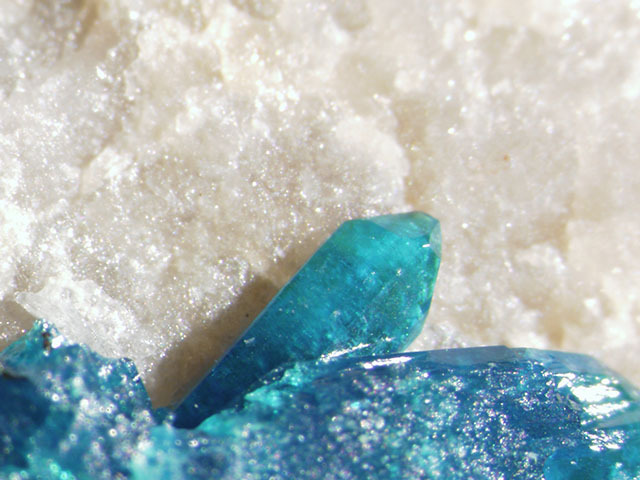 This is a rich example, with large crystals. Nice.